This article is part one of a series on corruption and misappropriation of public funds within the Ministry of Finance, Federal Government of Somalia. In Somali politics, corruption is the name of the game. To understand this, one shouldn’t look far than the norms at play in public institutions. Its culture seems to have seeped in all aspects in governance. The higher you go in government is the lesser chances for accountability, particularly at the Presidency, Office of Prime Minister, Finance, Telecom and Petroleum ministries. At the Ministry of Finance, millions of dollars, some of them donor funds for development, are misappropriated or wasted by the minister through personal expenses, double-dipping salaries for cronies as staff and false acquisition of armored vehicles, monthly expenses, travel expenses and furniture. 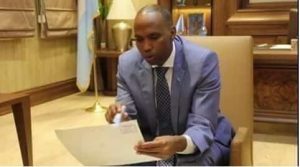 However, this is not first time Mr. Abdirahman Duale Beyle is serving as minister in Federal Government of Somalia (FGS); he once led the country’s Foreign Affairs portfolio from 17 January 2014 to 27 January 2015. During that period, embassy missions complained from a crippling policy he imposed, which siphoned 30% percent from allocated budgets. Some missions were even forced to closures. Now, Beyle is the minister of finance since April 2017 in an administration that cares only for loyalty and patronage. Evidences we obtained from the government through whistleblowers indicate how corruption is deepening in the federal government. Mr. Abdullahi Hussein Nor, Mr. Liban Obsiye and Mr. Nor Ali Omar (Dubad) are close partners employed by the minister with salaries from several sources funded by the World Bank and African Development Bank (AfDB), Ministry of Finance and Ministry of Foreign Affairs/Somalia Embassies. Nor and Dubad are particularly paid salaries, bonuses, food and accommodation allowances from the World Bank grant (salaries as Administrative Assistant and Communications consultants), Ministry of Finance (Salaries, food and accommodations) and Ministry of Foreign Affairs (salary for Abdullahi), about total of $6,235 for Abdulahi and $11,500 for Dubad. Obsiye, on the other hand, is an inexperienced policy advisor with a generously package from African Development Bank ($7,000), Ministry of Finance ($4,000 Gunno and $2,500 food and accommodation) and the Somalia Embassy in Sweden ($2,085) as the deputy head of the mission, in total $15,585 per month with a total $33,320/month, from the donor funds (World Bank and African Development Bank) and Somalia tax payers money as civil servants under the payroll of the Finance and the Foreign Affairs ministries (sees the supporting documents). This violates the IMF- Somalia Staff Monitored Program (SMP) agreements which has clear benchmarks against double dipping practices. In addition, Minister Beyle instructed his ministry to cover the cost of their hotel expenses for approximately $2,500 per person per month. The hotel in question is known as Sayid, which is at closer proximity to the State House. With little background checks, the results show mediocre history of employment as well as lack of technical and professional experience with respect to the qualifications required by the job descriptions. In reality, Mr. Abdullahi answers the phone calls on behalf of minister Beyle. Dubad acts as a protocol officer while Obsiye supports as a personal assistant to the minister, including in his overseas travel. According to our sources, who insisted on anonymity, there never was a formal recruitment process involved in the hiring of Liban, Dubad and Abdullahi. 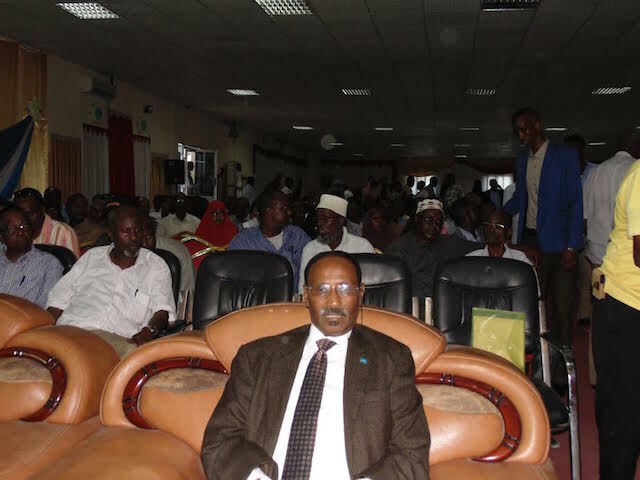 This practice was said to be an accepted norm within the ministry since Minister Beyle came to the Ministry, as long it attends the interest of the minister. As a result, assignments and responsibilities within the ministry turn an increasingly herculean task to deliver. The Minister who is also a parliamentarian in name only, lacks the competency, leadership skills and integrity to lead the Ministry. According to spurt sources since the Minister took over the Ministry in early 2017 the Ministry has been deteriorating institutionally and became only his office, while he paralysed the work of the director general, departments of the ministry, instead of focusing leadership and policy formulations in the Ministry. There is no clear term of references in the departments and the Ministry in general, roles and responsibilities are not clear, there are no division of labor and responsibilities of the work, of particular concern is the Procurement process for the African Development Project-Economic Financial Governance (EFG) phase II, where the Minister appoints ad hoc procurement team from his office and instruct them to select predetermined persons and companies he wants to give contracts. Moreover, he has difficulties in understanding important issues and misleads government and Somali public, in July 15, 2017 the federal parliament asked the minister his earlier press release which he claimed 90 per cent increase of revenue of the government which was not correct, the minister responded that he was “overexcited” when he made the announcement. Despite the rhetoric of the Prime Minister in general against corruption, nothing meaningful has been done to curb the high-level corruptions in the key institutions in the government. Transparency International, an organization that leads global fight against corruption, puts Somalia at the top of world’s most corrupt state since 2011 in the yearly annual corruption perception index reports. Corruption has serious implications in the overall functioning of the government, public trust, governance, rule of law and security, in the absence of a meaningful political will, leadership and legal mechanism against corruption, this malignant abuse of authority as we can see from these cases in the Ministry of Finance will certainly continue to stifle development in Somalia as it affects more on the innocent Somalia people down the road.